Sarah Jane founded Britten in 2007 and is still the principal designer. A graduate of the ancient and prestigious Cordwainers College, part of London College of Fashion, her background was originally handbag design. Standing beside Sarah Jane at Britten is her husband Matthew and the love of her life, Alfie the golden retriever. With a small team of skilled craftspeople Britten, along with sister brand THE WEDDING GARTER CO, operates from an ancient workshop in the overwhelmingly beautiful town of Bradford on Avon near Bath in England. Sarah Jane designs every Britten piece. They are available only directly online and in Britten's own boutique. Avoiding the unnecessary costs involved in traditional retail allows Britten to use English craftsmanship, the highest quality materials, specially commissioned packaging, offer deliver to your door for free and treat every bride like their only bride. The accessories may be beautiful but so is the service. 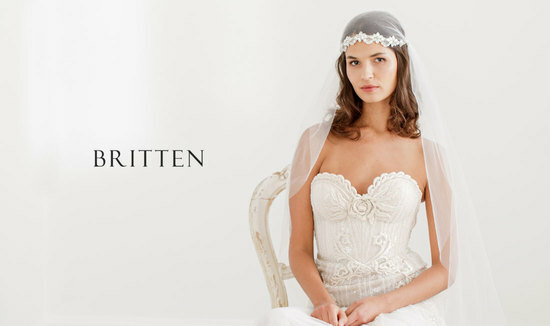 Sadly most Britten brides are too far away to pop into the boutique but it’s not a problem at all. We'll reply super quickly to any messages or questions you send us!